Thanks to Peter Martin for the identification. 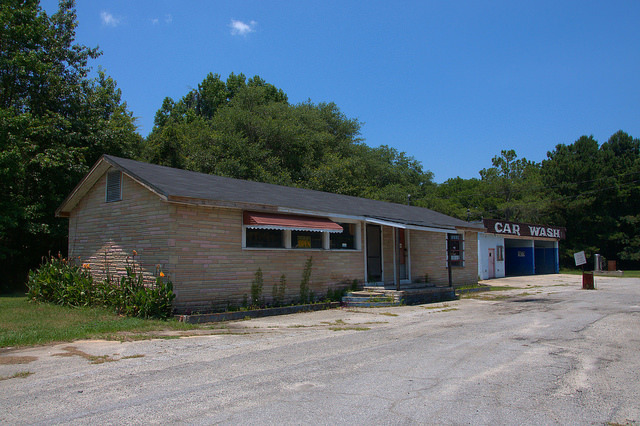 He recalls a diner and auto parts store being located here and says there was a large peach or orange “sign” where the car wash is now located. orange. I remember it vividly from my childhood.